THE COUNTDOWN IS ON! ONLY 12 MONTHS UNTIL THE MOST INCREDIBLE CRUISE SHIP YET ARRIVES IN AUSTRALIA. The biggest, most incredible cruise ship to ever be based in Australia makes her debut in exactly 12 months this Sunday. Ovation of the Seas, more than half way through construction in Germany, will arrive at her first local port of call in Fremantle on 6 December 2016 to kick off her maiden Australian season. The US$1 billion cruise ship will be the biggest and first ever brand new ship to sail local waters. “Ovation of the Seas represents the single biggest investment in Australian and New Zealand cruising by any cruise line. She’s the biggest, the newest and the most technologically advanced cruise ship to ever sail these waters, and she’ll call Australia home”, said Adam Armstrong, commercial director, Royal Caribbean International. "This is a game changer. This is big. Never before has a cruise line brought a new-build megaliner down under; truly this is a testament to our commitment to Australia, and our belief in this market as the future of cruising in this region,” he continued. 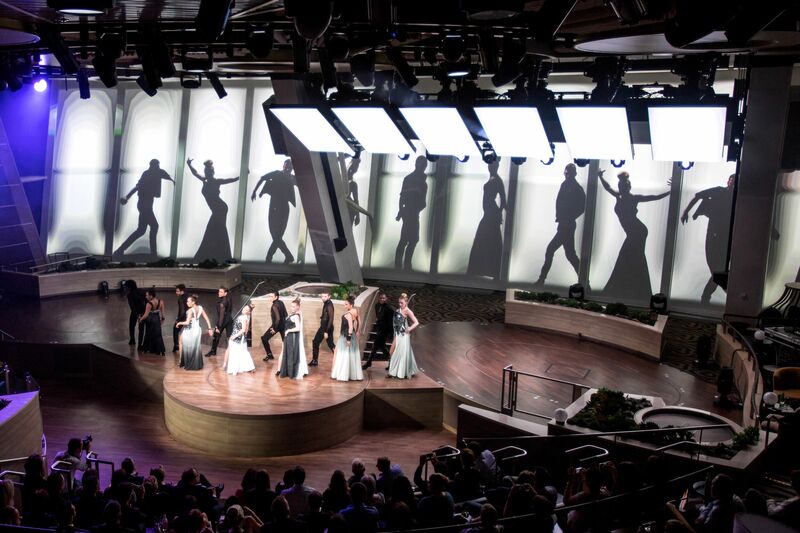 The 5,000 guest, 348 metre long Ovation of the Seas is the third ship in the ground-breaking Quantum Class. She will introduce a new set of first-at-sea onboard experiences to Australia including robot bartenders at the Bionic Bar, Ripcord by iFLY, a heart-pounding skydiving experience; North Star, a thrilling adventure that will transport guests as high as the Sydney Harbour Bridge; cutting-edge transformative venues including SeaPlex, the largest indoor sports and entertainment complex at sea with bumper cars, a circus school and more. 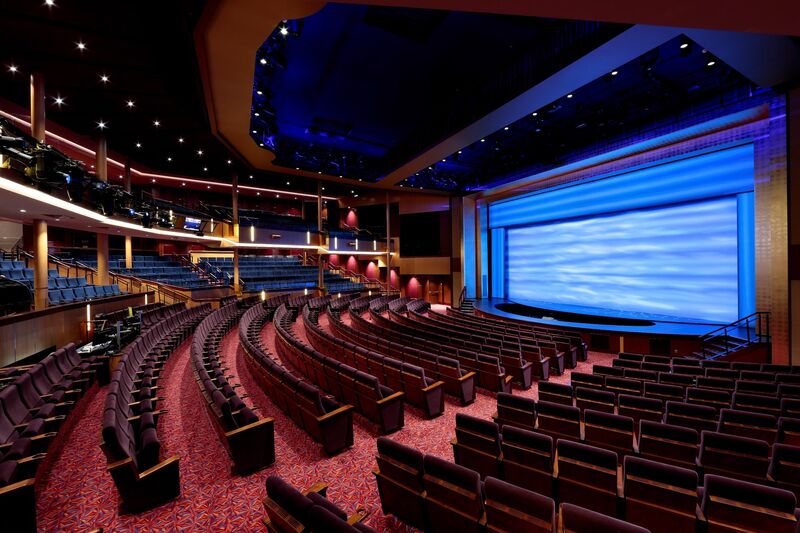 The ship will also feature the Quantum Class’ transformative space, Two70 - an expansive lounge boasting 270 degree ocean views by day which becomes an immersive, multimedia entertainment spectacular at night, fusing technology with entertainment using robotic video-screens, dramatic digital projection and high-flying aerialists and performers to thrill and excite guests. 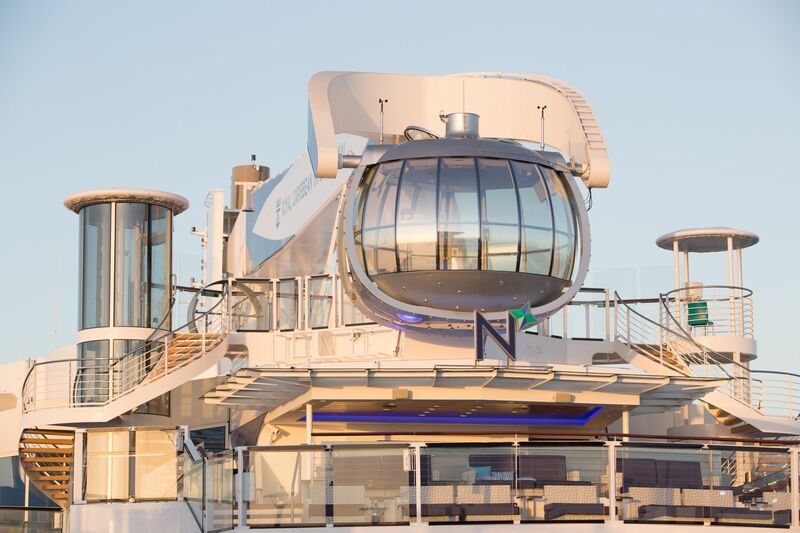 Technology has been amped up on Ovation of the Seas with high speed internet offering more bandwidth than all other cruise ships combined so guests can stream, video call and more as fast as they would onshore. New radio frequency smart bands also mean you can get into your stateroom and make onboard purchases without the need for the cruise card. While the Royal iQ app makes keeping track of your onboard schedule simple with all bookings and cruise details stored and updated automatically. Ovation of the Seas will be the fifth ship in the Royal Caribbean International Australian fleet for 2016/17 cruise season, making it the largest cruise brand operating in Sydney during the summer season. Ovation of the Seas will be joined by Voyager of the Seas, Explorer of the Seas and Radiance of the Seas in Sydney and Legend of the Seas in Brisbane – offering Australians the newest, most modern and exciting style of cruise holiday in the region. To make a booking visit www.royalcaribbean.com.au, phone 1800 754 500 or see your local travel agent. 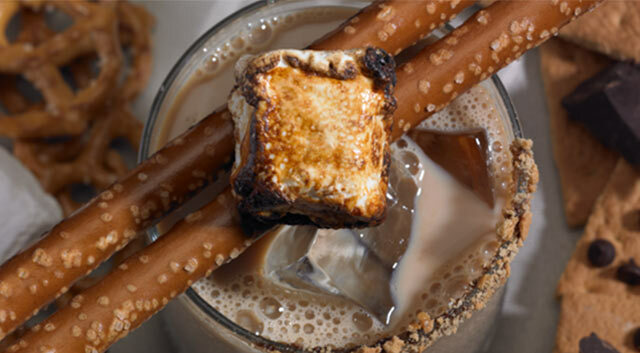 DROOL ALERT, PRINCESS CRUISES' DECADENT VIDEO. Princess Cruises has unveiled a decadent video, enticing Australians onboard its ships with a virtual chocolate journey hosted by master chocolatier and pastry designer Chef Norman Love. Join Chef Love as he highlights the cruise line’s latest Chocolate Journeys offerings, from chocolate pairings with tea to a new signature chocolate soufflé dessert – all set to roll out fleetwide in early 2016. Launched in November 2014, Chocolate Journeys is an immersive chocolate experience designed by Chef Love exclusively for Princess Cruises. CAIRNS HAS WELCOMED AUSTRALIA'S LATEST CRUISE SHIP WITH P&O CRUISES' PACIFIC ARIA MAKING HER MAIDEN CALL TO THE CITY TODAY. Heralded as a game-changer for the Australian cruise industry, the 55,820-tonne Pacific Aria docked at the Cairns Cruise Liner Terminal in the heart of the city this morning for a two-day visit. Pacific Aria will return to Cairns on two further occasions this year (Dec 20-21 and Dec 30-31), while her sister ship Pacific Eden will make her maiden call to the city on December 22, in advance of her first season of cruises from Cairns in late 2016. Pacific Eden will be the first cruise ship to ever be based in Cairns when she sails from the city on a series of nine cruises between September and November 2016, including new seven-night cruises to Papua New Guinea. The ship will return to Cairns in 2017 for a second season of sailing, offering 10 cruises from Cairns from August to November 2017, including the first ever international sea break, a four-night cruise from Cairns to Papua New Guinea. Today’s maiden call follows the cruise line’s inaugural visit to Hamilton Island yesterday. STATE OF THE CRUISE INDUSTRY OUTLOOK : CONTINUED EVOLUTION OF CRUISE TRAVEL DRIVES INDUSTRY GROWTH. State Of The Cruise Industry Outlook: Continued Evolution Of Cruise Travel Drives Industry Growth. 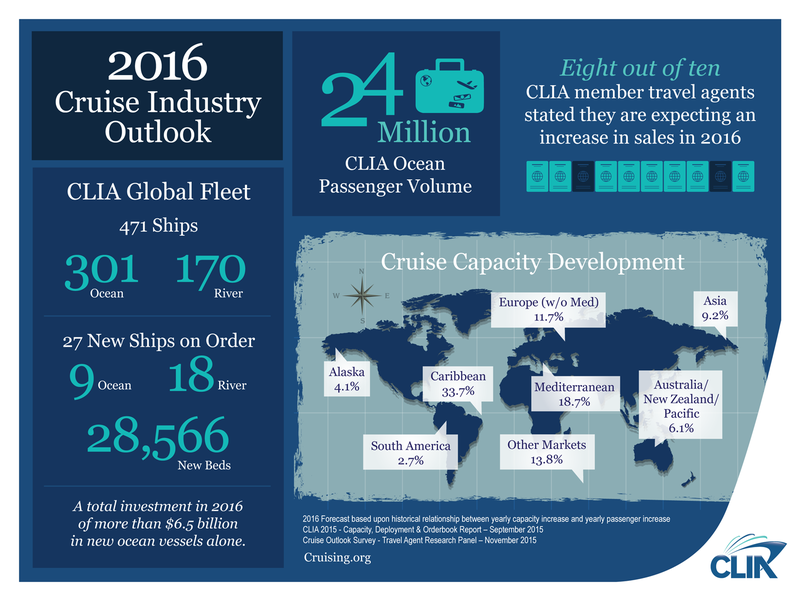 (WASHINGTON, DC) – Cruise Lines International Association (CLIA) has released the 2016 State of the Cruise Industry Outlook, revealing worldwide cruise travel is continuing to grow and evolve at a record pace. The industry shows no signs of slowing down, with nearly 24 million passengers expected to sail in 2016, a dramatic increase from 15 million just 10 years prior (2006) and 1.4 million when CLIA began tracking passengers in 1980. The report highlights Australia’s continued record growth among the notable industry trends, commenting on the six-fold surge in local passenger numbers over the past decade. The report also reveals member cruise lines are scheduled to debut 27 new ocean, river and specialty ships in 2016 for a total investment of more than $6.5 billion in new ocean vessels alone. Travel agents are also experiencing a higher demand for cruise travel with eight out of ten US-based CLIA member travel agents stating they are expecting an increase in cruise sales in 2016 over last year. 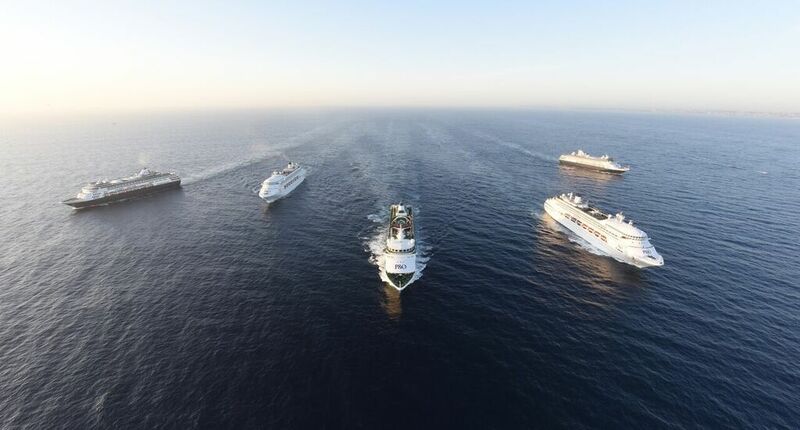 Cruising also generates a substantial positive economic impact globally. Cruise industry expenditures generated $119.9 billion in total output worldwide, supporting 939,232 full-time equivalent employees who earned $39.3 billion in income in 2014. Rise of the River Cruise – River cruises are growing in popularity, introducing the value and unique travel experience to new cruise travellers. CLIA cruise line members currently deploy 170 river cruise ships with 18 new river cruise ships on order for 2016, an increase of more than 10 per cent. More Ships, More Options – In 2015, there are a total of 471 cruise ships* with an additional 27 new ocean, river and specialty ships scheduled to debut in 2016. On the Map – Five years ago, cruise travel was almost unheard of in Asia. Today, the region is the fastest growing in the cruise industry. Between 2012 and 2014, passenger volume grew from 775,000 to nearly 1.4 million passengers, a 34 per cent compound annual growth rate. 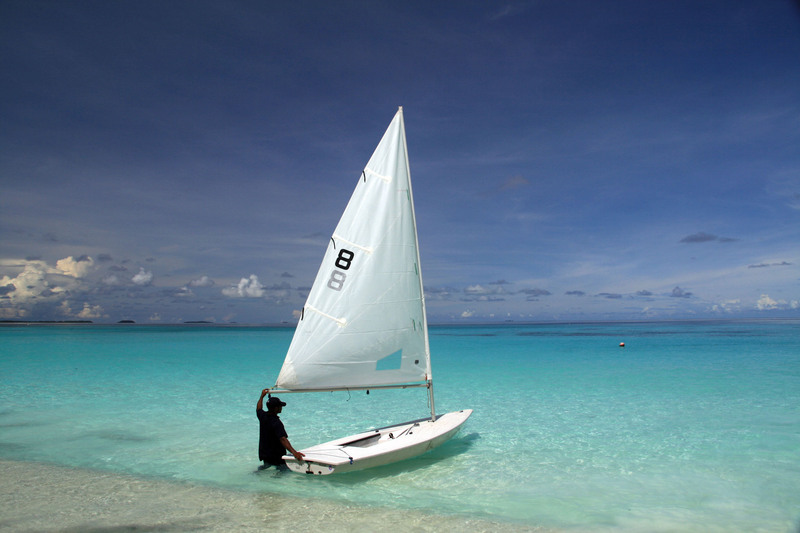 G’Day for a Cruise – While Asia continues to grow rapidly, Australia also continues to experience record growth. In fact, Australia’s cruise industry surpassed a major milestone in 2014, exceeding more than one million passengers in a calendar year. In ten years, Australia’s cruise passengers have grown more than six-fold, from a base of 158,000 in 2004. Cruise Specialists – The cruise industry continues to leverage the expertise of cruise specialists to help guide travel decisions. Today, there are more than 30,000 CLIA-member travel agents globally compared to 12,000 travel agents in 2010. 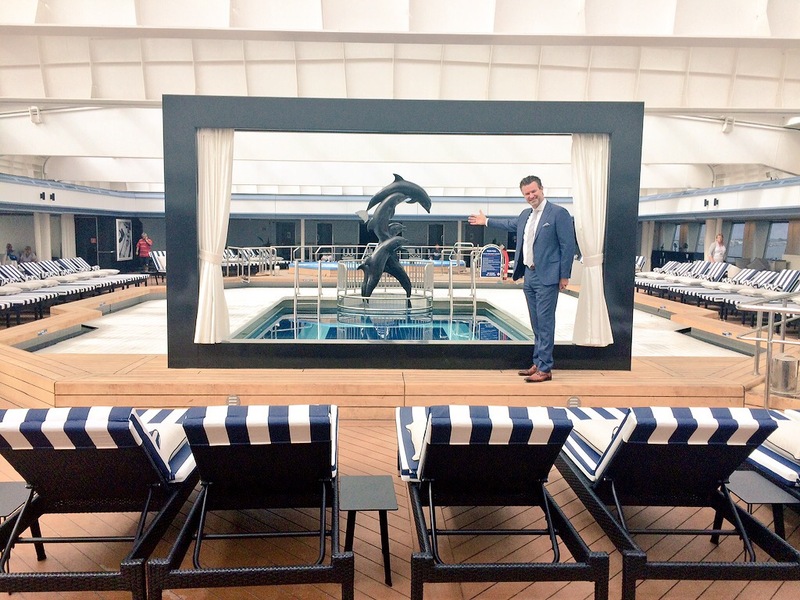 Connectivity and Cruising – The cruise industry has made consumers’ desire to stay connected while travelling a priority. Most of today’s cruises offer myriad Wi-Fi, onboard texting and data options. 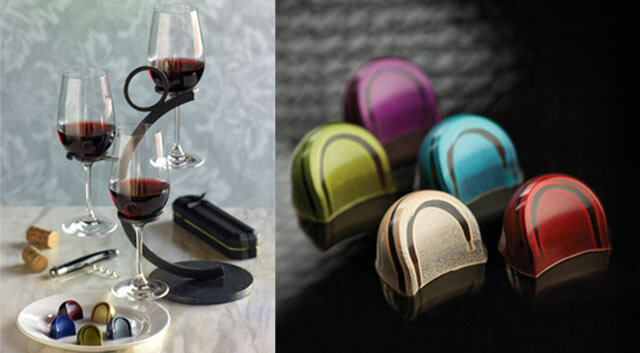 A Love for Luxe – The desire for luxury travel continues to rise. Specialty cruise lines are responding with yachting experiences, concierge services, exclusive tours, gourmet dining and personal butler service. Brands at Sea – Cruise lines are leveraging the cross-promotional appeal of brands to appeal to new cruise travelers. 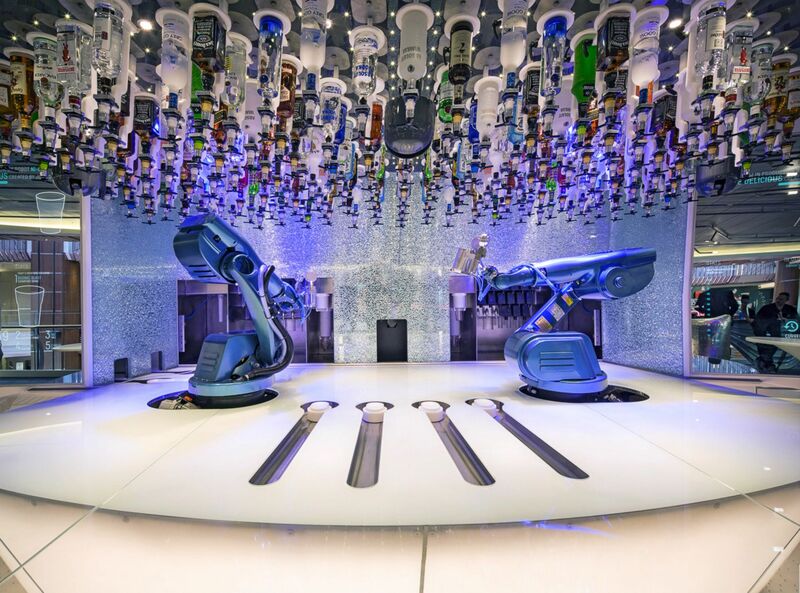 From family-friendly household names like LEGO and Dr. Seuss, to upscale luxury brands like Hermes and Veuve Clicquot Champagne, brands are increasingly setting sail on cruise lines. Ships Are the Destination – While cruise ships were once considered a mode of transportation to get to a desired destination, today a cruise ship offers the experience of a destination. Latest ships offer unprecedented onboard experiences and amenities for travellers, from Broadway productions and designer shops to zip-lining and bumper cars. 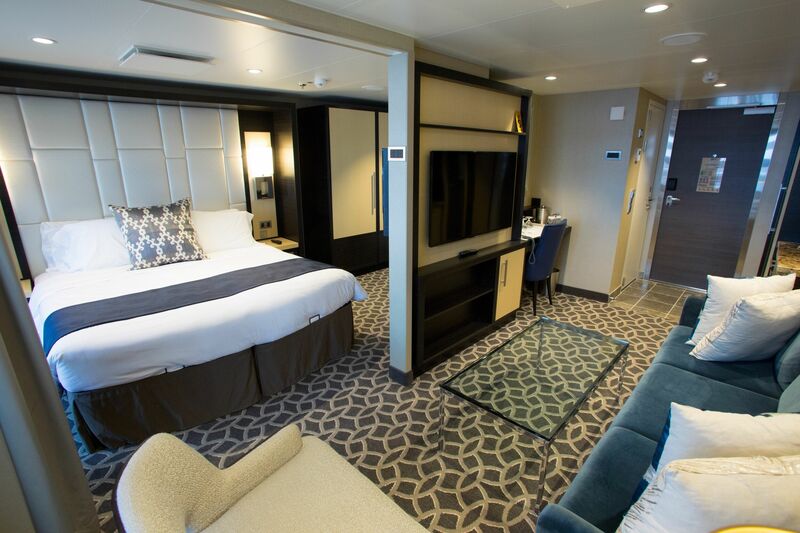 Stay the Night – Many cruise lines are offering overnight stays at designated ports of call to give cruisers an opportunity to fully immerse themselves in the experiences available at the destination. Grand(parent) Travel Experiences – Intergenerational cruising has become a popular selection for family reunions or the family vacation of a lifetime. With cruise amenities designed to satisfy every age from toddlers to seniors, cruises provide the togetherness (and the independence) that makes intergenerational family travel a success. Cruise Voluntourism – More “voluntourism” cruises are available in 2016 with several ships including excursions to help areas of need around the world. These service-oriented cruises offer a wonderful opportunity to make a meaningful difference in the communities cruise ships visit and a rare experience to embrace and impact local culture. Culturally Customised – Cruise lines are continuing to customise cruise ships based upon passenger cultures. 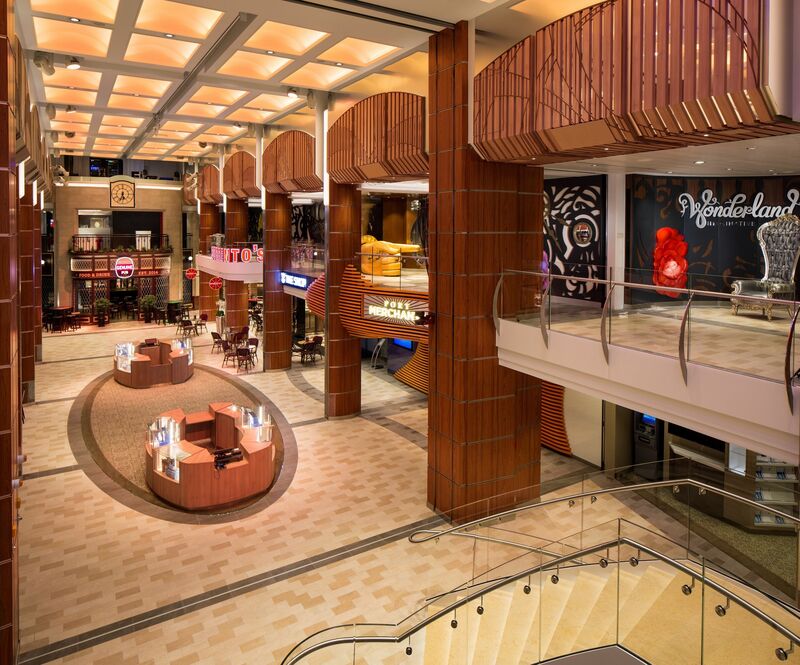 From shopping and dining preferences, vessels are being outfitted to serve guests as well as pay homage to their ports of call. Information supplied by : CLIA [ Cruise Lines International Association ]. AUSTRALIA'S BIGGEST TWINS MEET FOR THE FIRST TIME ON SYDNEY HARBOUR. Over 10,000 people celebrated, surfed and partied in style tonight as Royal Caribbean International’s newest Australian cruise ship welcomed by twin sister. History was made this evening as the two biggest cruise ships based in the southern hemisphere met in Sydney Harbour for the first time. Royal Caribbean International’s newest Australian cruise ship, Explorer of the Seas, was welcomed to her new Aussie home by twin sister Voyager of the Seas, with the two ships bringing almost 10,400 passengers and crew and almost $1.6 million into the Sydney economy in passenger spend on this one day alone. 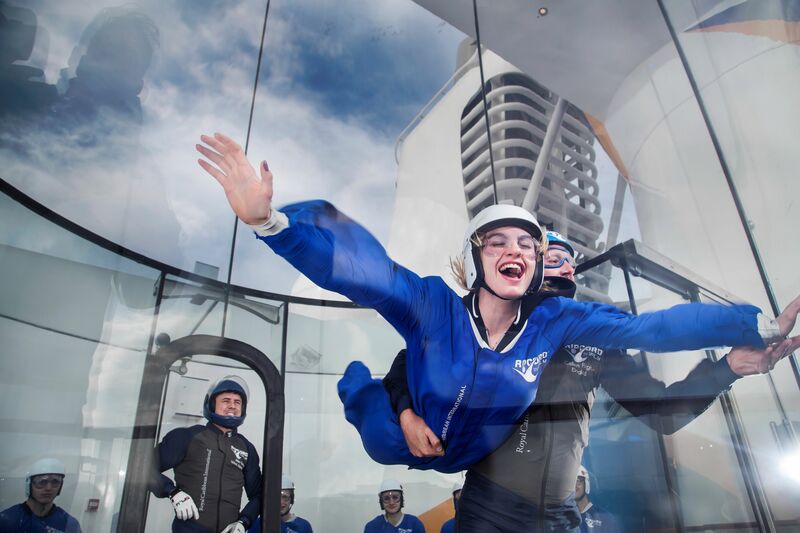 With over 10,000 people on board the two ships, it’s the equivalent of having the entire population of Byron Bay out on the harbour at one time,” said Adam Armstrong, commercial director, Royal Caribbean International. 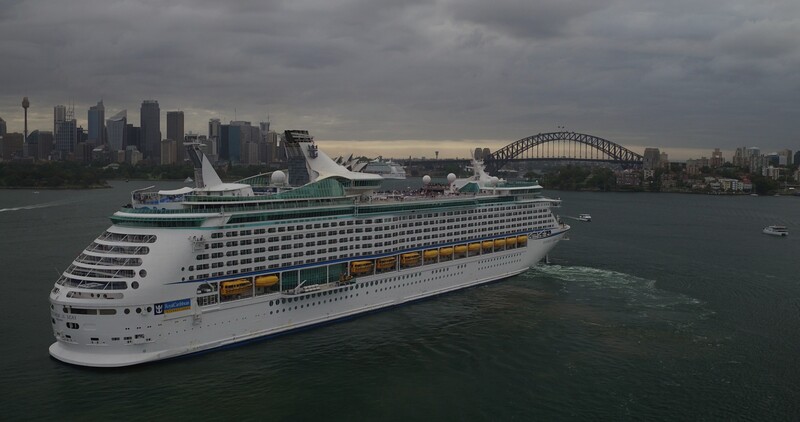 Explorer of the Seas arrived in Sydney, concluding a 16-night epic Australia and New Zealand voyage from Fremantle, with guests from more than 30 countries onboard eager to witness the new ship’s maiden Sydney arrival. While Voyager of the Seas departs Sydney on a seven-night Tasmania sailing bound for her first port, Melbourne, on Monday. 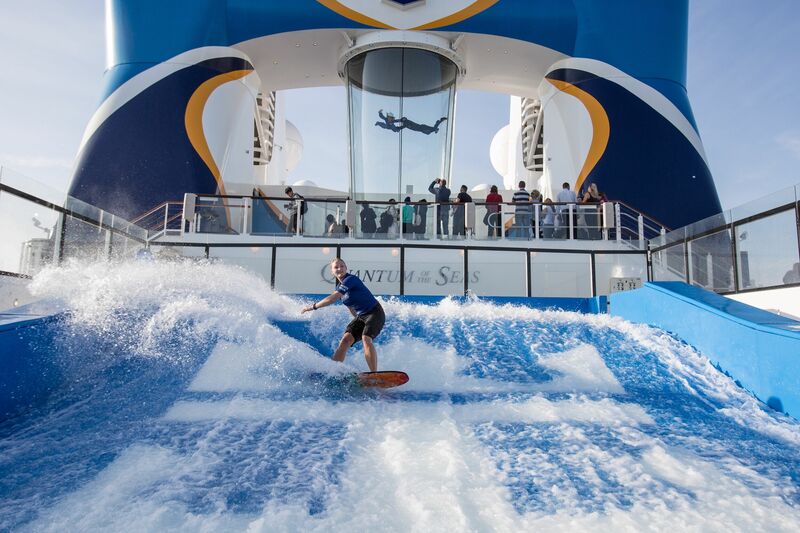 “It really was double the fun on the harbour with guests on both ships surfing Sydney Harbour as the ships passed Fort Denison thanks to our unique FlowRider surf simulators on the top deck of each ship,” Adam continued. 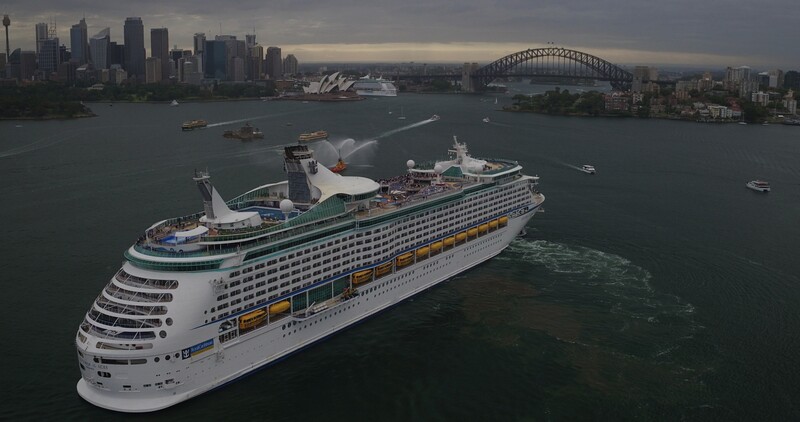 At a whopping 138,194 gross tons, 311 metres long and 38 metres wide, Explorer of the Seas takes the crown of Australia’s largest cruise ship from twin sister ship Voyager of the Seas. 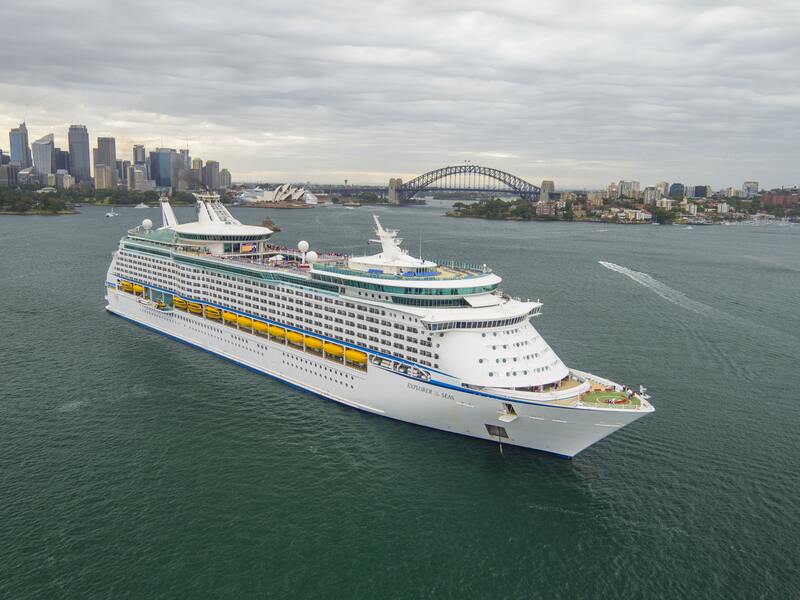 During her five month season Explorer of the Seas will inject almost $44 million into the Australian economy including almost $41 million in Sydney in passenger spend alone. Explorer of the Seas joins already revitalised sister ships Voyager of the Seas, Radiance of the Seas and Legend of the Seas making the Royal Caribbean fleet the newest and most feature packed ships sailing in the region – a total investment of more than US$280 million. For further information or to follow Explorer of the Seas’ maiden Australian voyage, visit www.exploreroftheseas.com.au. P&O CRUISES MAKES HISTORY ON SYDNEY HARBOUR WITH SPECTACULAR FIVE SHIP PARADE AND SOCIAL MEDIA NAMING CEREMONY. 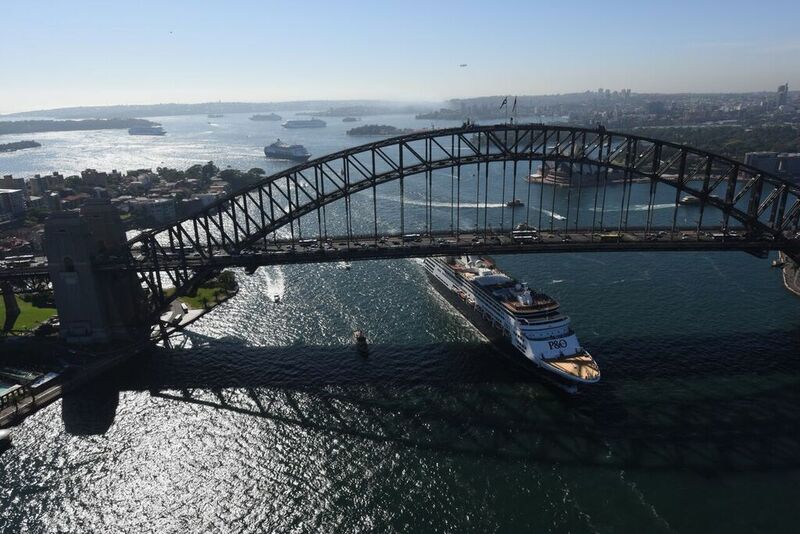 Australia’s leading cruise line P&O Cruises has made history in Sydney today, staging an unprecedented five-ship spectacular on the harbour to celebrate the arrival of its two latest cruise ships. In a world first, the cruise line marked the debut of Pacific Aria and Pacific Eden with a social media naming ceremony, which saw popular Australian singer Jessica Mauboy and actress Kate Ritchie simultaneously christen the ships via Twitter as the two vessels sailed either side of Fort Denison. Reflecting Australians’ love of social media and cruising, the ships’ godmothers both tweeted a short message declaring the ships named, while Jessica Mauboy also sang the national anthem. 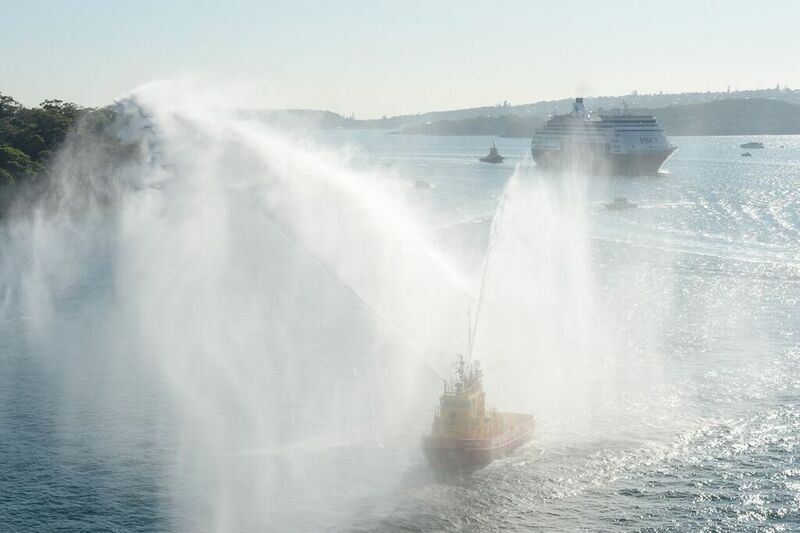 In a nod to maritime tradition, a bottle of Champagne was smashed on the bow of each ship as they reached Fort Denison, with all five ships sounding their whistles to mark the nation’s first dual cruise ship christening. 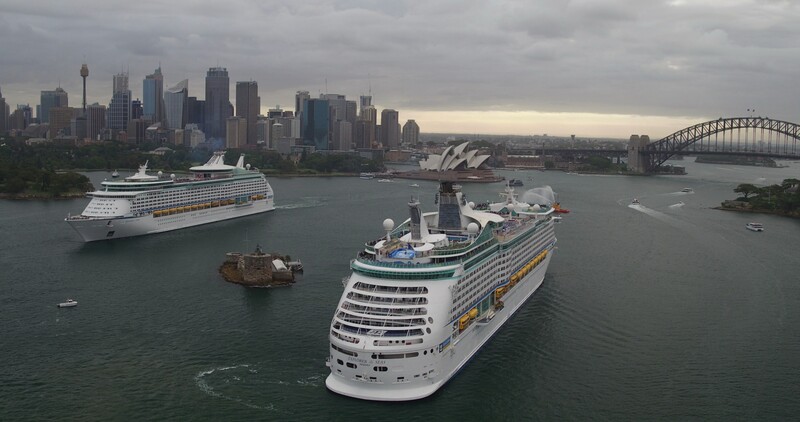 The history-making gathering of five cruise ships from one fleet on the Harbour was watched by thousands of Sydneysiders on the foreshore and on small boats, while more than 12,000 guests and crew onboard the P&O fleet joined in the celebrations. The five ships will remain on Sydney Harbour all day, with guests onboard set to enjoy a series of live concerts from more than 25 music acts during the afternoon and evening, including performances by Jessica Mauboy, The Veronicas, Justice Crew, Samantha Jade and Stan Walker. The celebration will conclude with a special fireworks display above the harbour at 8.45pm. 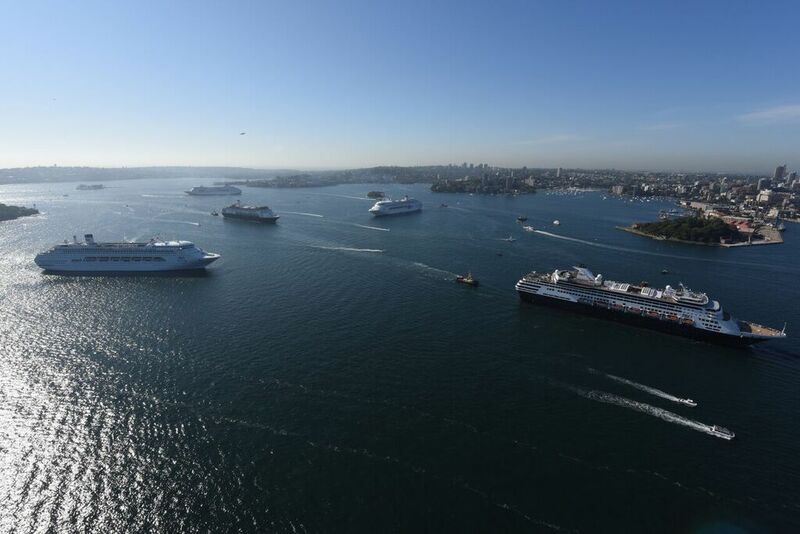 Unprecedented in its scale, today’s event brings together a record number of cruise ships from one fleet on Sydney Harbour. Ann Sherry, CEO of Carnival Australia which operates P&O Cruises, said the event marked a new era for P&O, Australia’s only homegrown cruise line, which has increased its fleet to five ships in response to increasing demand for cruise holidays. “P&O Cruises has been sailing from Australia for more than 80 years so we are thrilled to be able to celebrate the expansion of our fleet with so many Sydneysiders today,” Ms Sherry said. 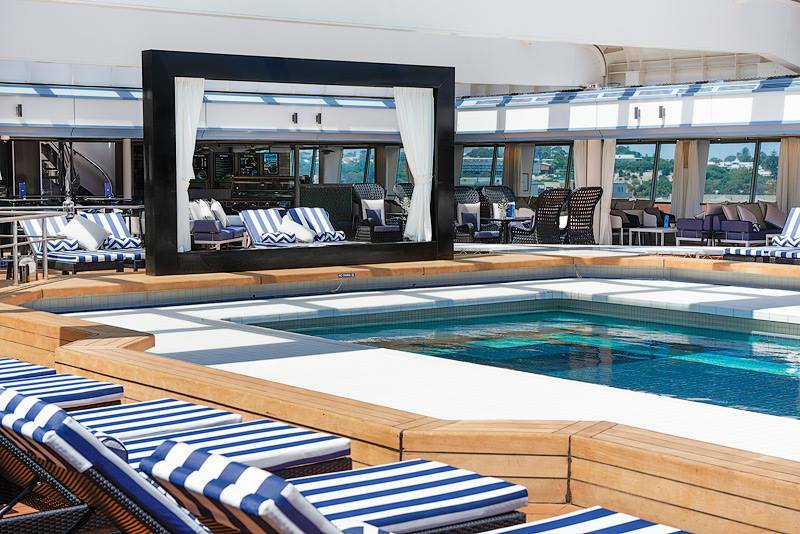 Designed to be game changers for the Australian cruise industry, both ships offer a relaxed vibe in a contemporary and stylish setting unlike any other ship operating in Australian waters. The Fort Denison naming ceremony was attended by key cruise industry members and two special guests – Sydney sisters 8-year-old Aria and 3-year-old Eden Mulligan, invited by P&O to perform the role of “junior godmothers” for the sister ships which coincidentally share their names. 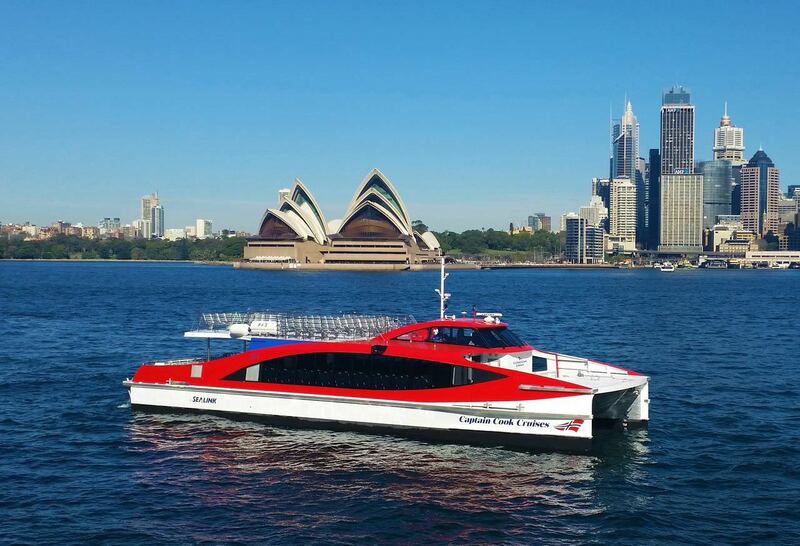 WHITE BAY CRUISE TERMINAL CITY FERRY TO COMMENCE 27TH NOVEMBER 2015. 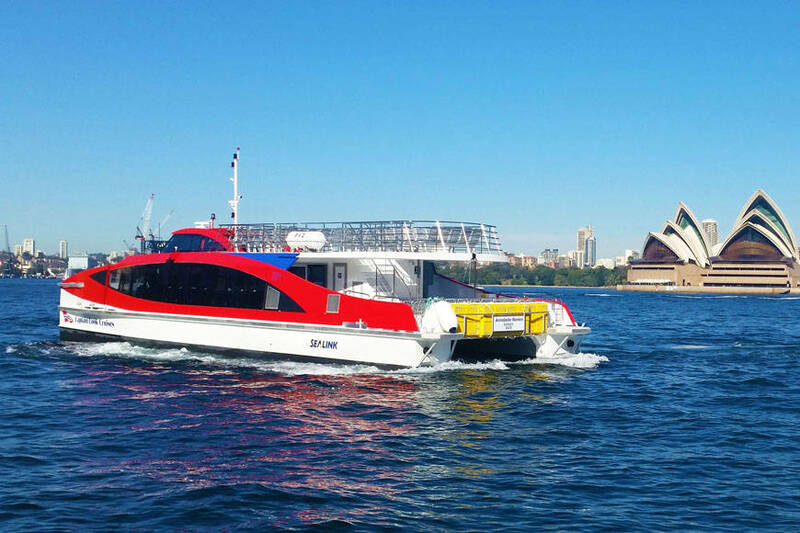 Captain Cook Cruises White Bay Cruise Terminal City Ferry will begin operation on 27 November, 2015. The long awaited ferry service will operate between White Bay, Circular Quay and Darling Harbour every 20 minutes from 7.30am until 2.30pm. The ferry will operate on all days that cruise ships arrive and depart from White Bay Cruise Terminal. Ferries will operate between White Bay and Circular Quay in the morning and between White Bay and Darling Harbour in the afternoon. Ferry transfers operate between Circular Quay and Darling Harbour for those wishing to connect to the White Bay service. The new direct ferry service will provide a quick and efficient transfer to and from the city for all cruise ship passengers and crew. 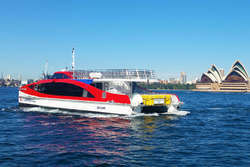 The ferry service has been made possible by the construction of Sydney’s first mobile passenger wharf by Captain Cook Cruises. The White Bay Captain Cook Wharf will be located directly adjacent to the White Bay Cruise Terminal. The White Bay Cruise Terminal City Ferry is priced at $9 one way, per person.Ferries will operate between White Bay and Circular Quay in the morning and between White Bay and Darling Harbour in the afternoon. in person at Captain Cook Cruises ticket offices at Circular Quay, Darling Harbour and White Bay cruise terminal and through participating cruise lines. Information supplied by: Captain Cook Cruises, Sydney. 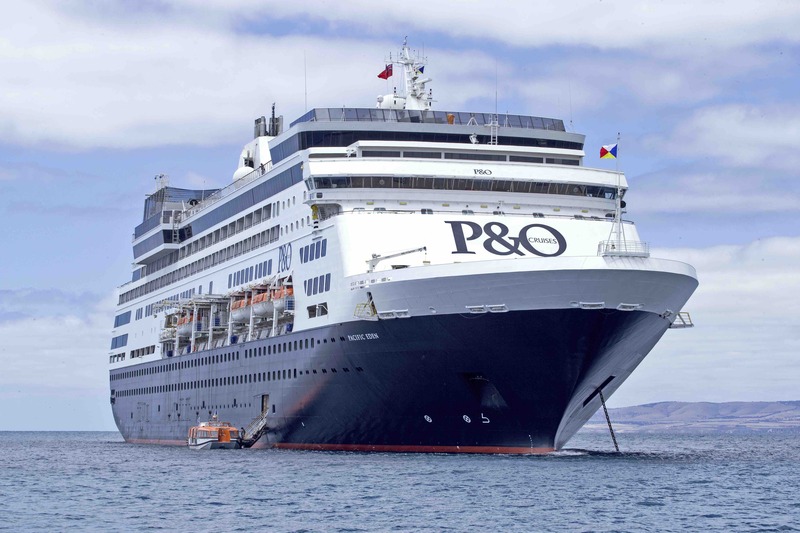 THE LATEST ADDITION TO P&O CRUISES' FLEET, PACIFIC EDEN MADE HER FIRST CALL TO KANGAROO ISLAND ON SATURDAY - ONE OF A SERIES OF MAIDEN VISITS ON HER INAUGRAL VOYAGE. The Latest Addition To P&O Cruises’ Fleet, Pacific Eden Made Her First Call To Kangaroo Island On Saturday – One Of A Series Of Maiden Visits On Her Inaugural Voyage. The 55,820-tonne ship anchored off the coast of Kangaroo Island with her guests transferring to the island for a day of sightseeing and tours. Among the highlights on offer to guests exploring the island’s natural beauty and wildlife were visits to Cape Willoughby and the local sea lion colony at Seal Bay. Sailing on her inaugural 10-night cruise from Fremantle to Sydney, the 1500-guest Pacific Eden arrived in Melbourne today for her first visit to the Victorian capital. She will debut in Sydney on Wednesday for P&O Cruises’ Five Ship Spectacular and her official naming by godmother Kate Ritchie. MELBOURNE HAS WELCOMED AUSTRALIA'S LATEST CRUISE SHIP P&O CRUISES' PACIFIC EDEN ON IT'S MAIDEN VISIT TO THE CITY, AHEAD OF IT'S DEBUT VICTORIAN SEASON NEXT SUMMER. Melbourne Has Welcomed Australia’s Latest Cruise Ship P&O Cruises' Pacific Eden On Its Maiden Visit To The City, Ahead Of Its Debut Victorian Season Next Year. Heralded as a game changer for the Australian cruise industry, the 55,820-tonne Pacific Eden will return to Melbourne in February next year as part of P&O Cruises’ biggest season of cruising from the city. Testament to the growing popularity of cruising in Victoria, Pacific Eden and Pacific Jewel will offer 18 cruises from Melbourne from December 2015 to March 2016, carrying an estimated 30,000 guests and delivering more than $15 million into the local economy. 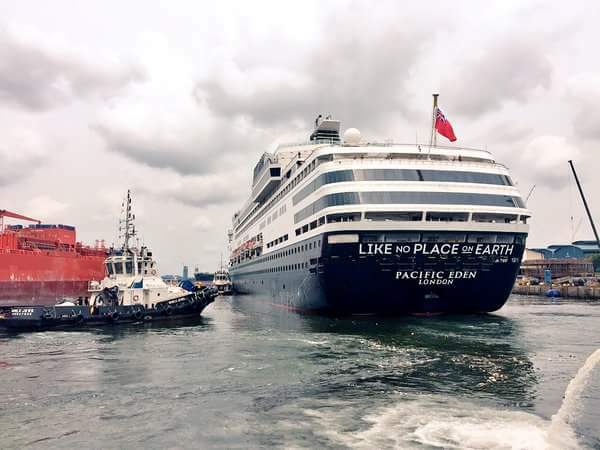 According to industry figures, Victoria is one of the fastest growing cruise states in Australia with 175,570 Victorians cruising in 2014, an increase of 24 per cent on the previous year. Pacific Eden’s visit today is part of its inaugural Australian cruise, a 10-night itinerary which departed Fremantle on Sunday November 15. The next call is Sydney where it will be officially named with sister ship Pacific Aria as part of P&O's five ship spectacular on Wednesday November 25. Pacific Eden and Pacific Aria take local cruising to the next level with a stunning design which reflects the contemporary style of modern Australia, while capturing the relaxed and sometimes cheeky spirit Australians are known for. 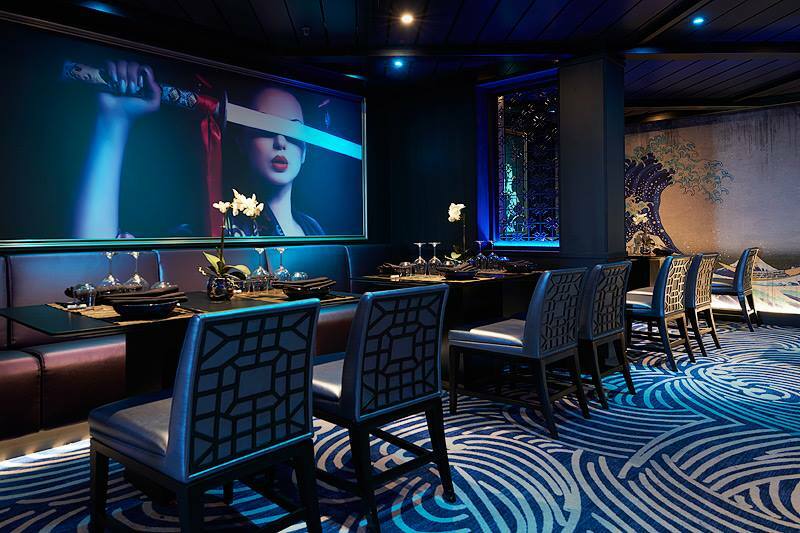 Pacific Eden features 15 dining options including a plush private dining room and Luke Mangan’s Salt grill, luxe new bars, a resort-style pool deck, P&O’s first penthouse cruise suites and a child-free Oasis with private cabanas. P&O Cruises Senior Vice President Sture Myrmell said the addition of Pacific Eden and sister ship Pacific Aria had increased the cruise line’s fleet to five ships, enabling P&O to base a second ship in Victoria for the first time. 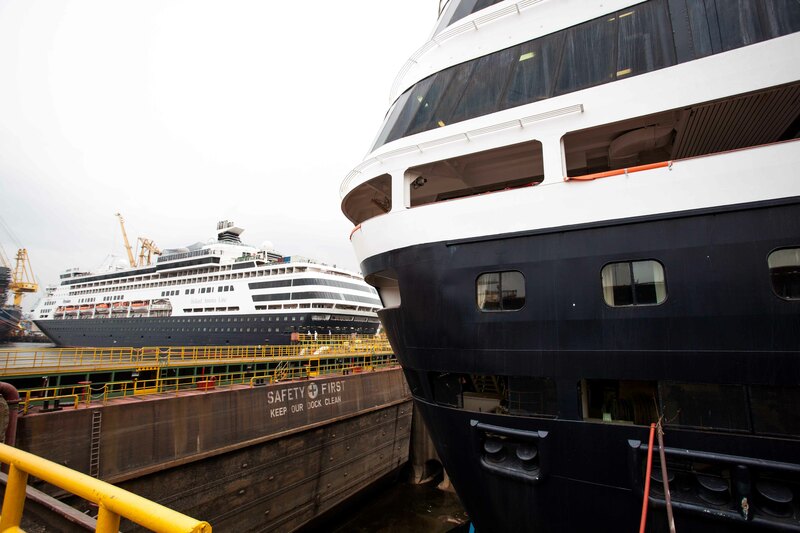 “Victoria is really coming into its own both as a cruise destination and a homeport, so we’re thrilled to have the capacity to be able to base one of our latest ships in Melbourne next summer. 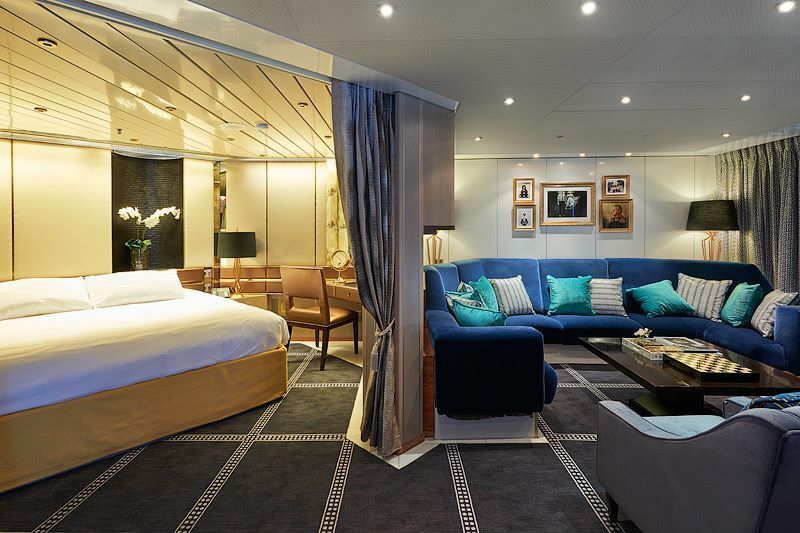 With her modern Australian design and quirky touches, Pacific Eden is sure to become a fast favourite among Victorians as she offers an exciting line up of cruises from the state,” Mr Myrmell said. 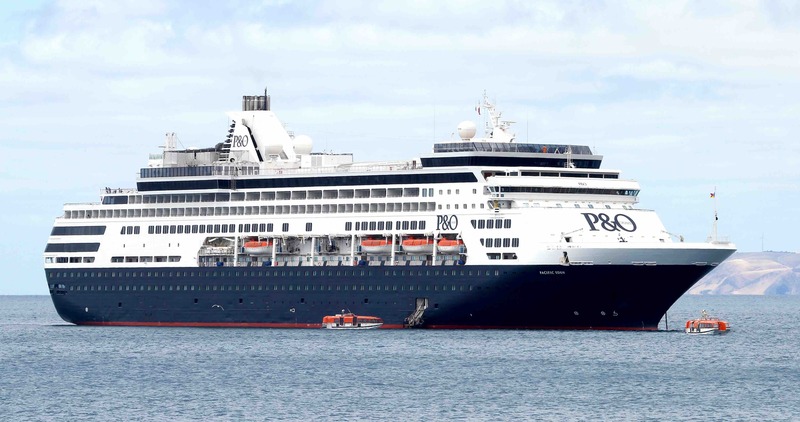 Mr Myrmell said Pacific Eden’s 2016 deployment would form part of a record four month season in Melbourne, with Pacific Jewel kicking off the cruise line’s first summer deployment in the state next month. 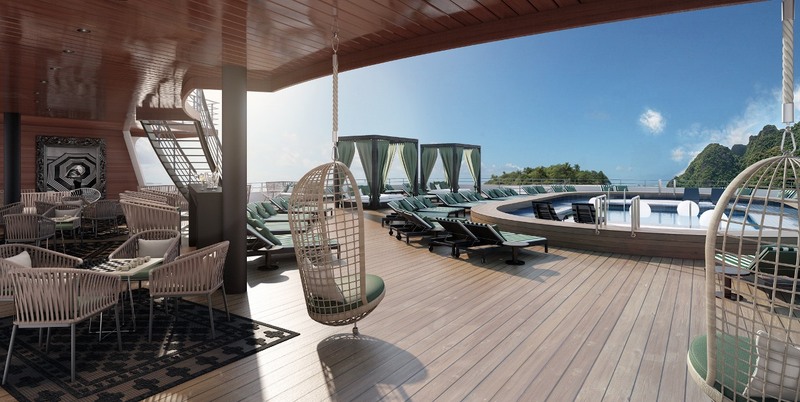 P&O CRUISES AUSTRALIA'S LATEST CRUISE SHIP PACIFIC EDEN SHINES WITH NEW LOOK. 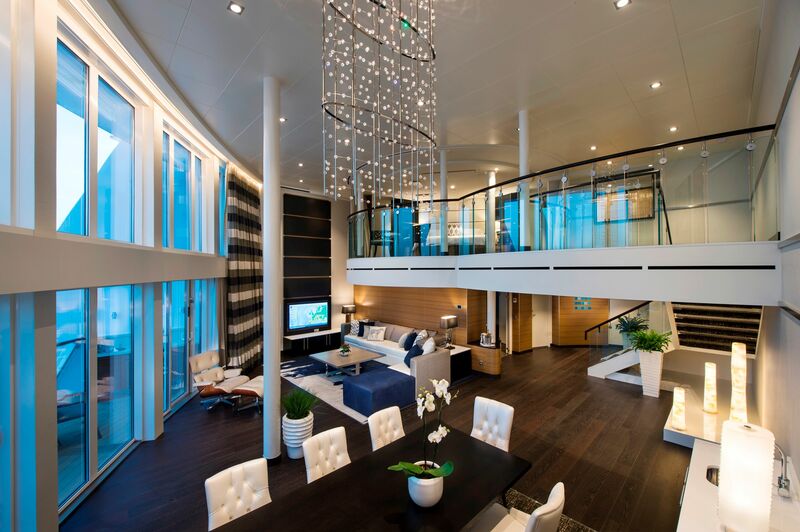 P&O Cruise Australia's Latest Cruise Ship Pacific Eden Shines With New Look. 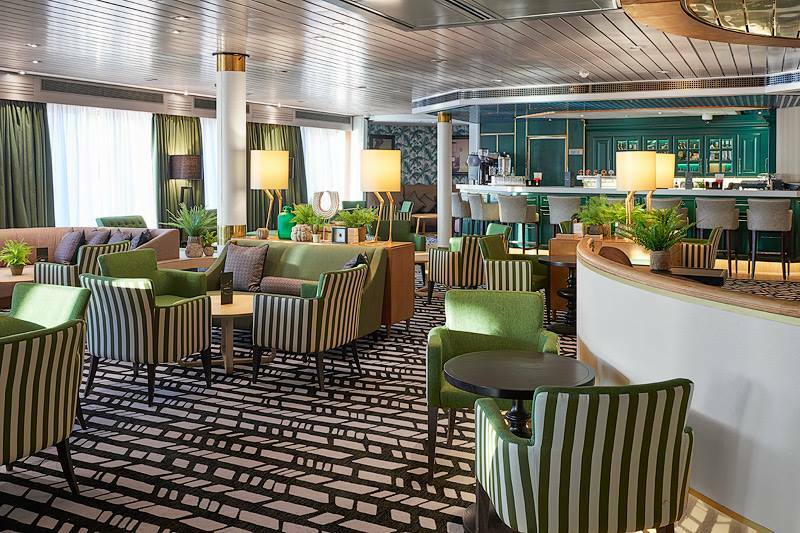 P&O Cruises has released images of Australia's latest cruise ship, P&O Cruises' Pacific Eden, which is en route to Sydney after departing on its maiden voyage from Fremantle on the weekend. Pacific Eden will be christened by actress Kate Ritchie in a dual naming ceremony on Sydney Harbour on Wednesday November 25 with sister ship Pacific Aria, which will be named by singer Jessica Mauboy. The ceremony will be a key part of P&O Cruises' Five Ship Spectacular which will see its entire five-ship fleet meet in Sydney for the first time for a day of celebrations. PRINCESS CRUISES CREATES NEW VIDEO SERIES WITH CHEF CURTIS STONE. 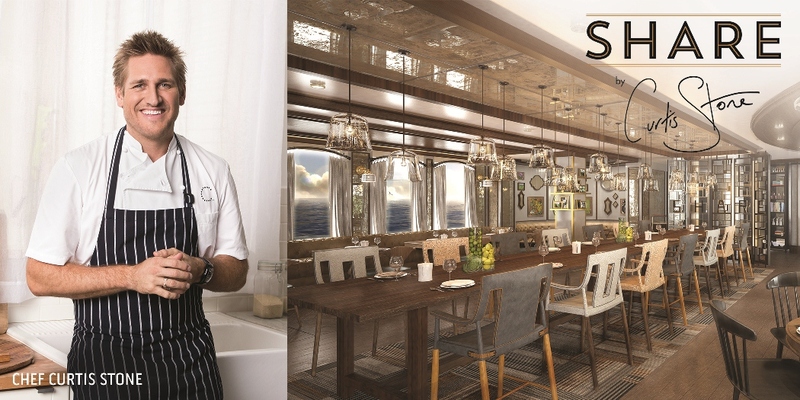 Princess Cruises has created a new video series with renowned, award-winning chef and restaurateur Curtis Stone, sharing his vision behind SHARE, the new specialty restaurant set to arrive in Australia next year on Sun Princess. 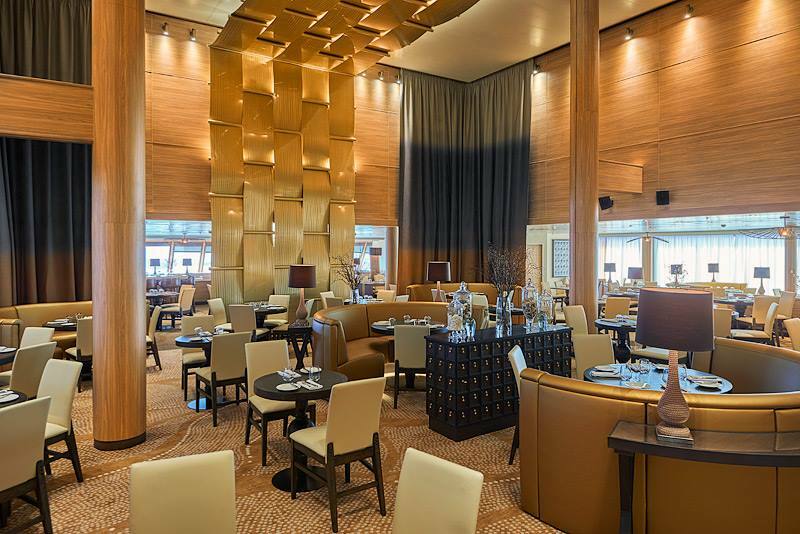 The eight-part SHARE video series will roll out over the next two months as Princess Cruises prepares for the launch of the exclusive-to-Princess Cruises restaurant in December onboard Ruby Princess and Emerald Princess. SHARE will then make its Australian debut onboard Sun Princess in April 2016 when the ship returns from dry dock. Princess Cruises Vice President Australia & New Zealand Stuart Allison said there had been a lot of interest in the new culinary venture in Australia and predicted SHARE would be a huge success with Princess’ local guests. “Curtis is very popular in Australia and the recent launch of his Crafted by Curtis menu items on Golden Princess has been very successful with local cruisers – his pork belly in particular has been a real hit!” Mr Allison said. The cruise line’s partnership with Curtis is the perfect pairing because of the mutual belief that when good food brings people closer together, much like travel, guests experience the world in a whole new way, creating happiness around the table and lifelong memories. 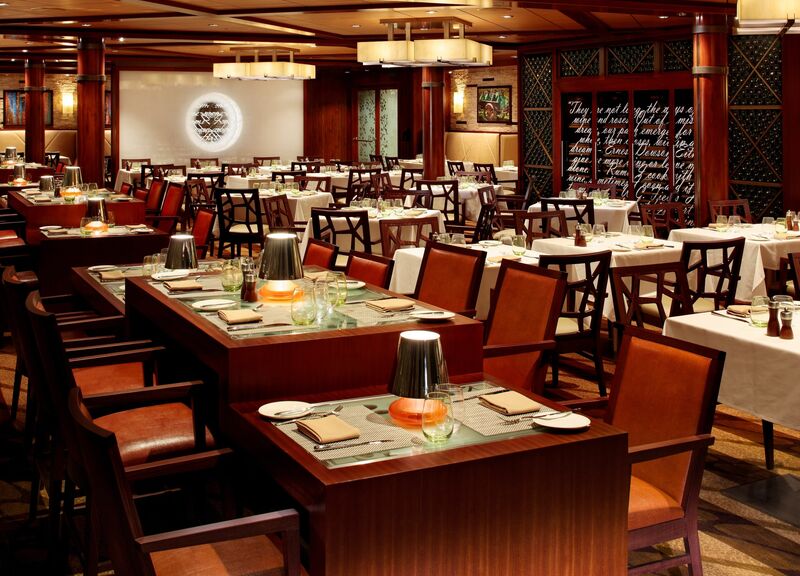 The SHARE cruise dining experience onboard Princess Cruises encourages joining with family, friends and other cruisers by offering intriguing dishes served family style. Designed by Curtis, the menu features dishes such as an enticing charcuterie starter course, composed salads, handmade pastas, premium quality meats, an array of decadent desserts and more. This partnership with Curtis adds to the line's "come back new" brand promise, designed to elevate the onboard guest experience by introducing new culinary offerings dedicated to fresh, flavourful cuisine aboard all ships. In addition to SHARE, the "Crafted by Curtis" menu items offered in the main dining rooms will roll out fleet-wide through early 2016. The Chef's Table experience by Curtis Stone will debut in early 2016. WHITE BAY CRUISE TERMINAL CITY FERRY, TO START NOVEMBER 24TH 2015. Ferries depart approx every 20 minutes. Duration approx 15 minutes. Captain Cook Cruises White Bay Cruise Terminal City Ferry will begin operation on 20 November, 2015. The long awaited ferry service will operate between White Bay, Circular Quay and Darling Harbour every 20 minutes from 7.30am until 3.00pm. The ferry will operate on all days that cruise ships arrive and depart from White Bay Cruise Terminal. Ferries will operate between White Bay and Circular Quay in the morning and between White Bay and Darling Harbour in the afternoon. Ferry transfers operate between Circular Quay and Darling Harbour for those wishing to connect to the White Bay service. The long awaited ferry service will operate between White Bay, Circular Quay and Darling Harbour every 20 minutes from 7.30am until 3.00pm. The ferry will operate on all days that cruise ships arrive and depart from White Bay Cruise Terminal. The White Bay Cruise Terminal City Ferry is priced at $9 one way, per person. Buy tickets online from www.captaincook.com.au, in person at Captain Cook Cruises ticket offices at Circular Quay, Darling Harbour and White Bay and through participating cruise lines. 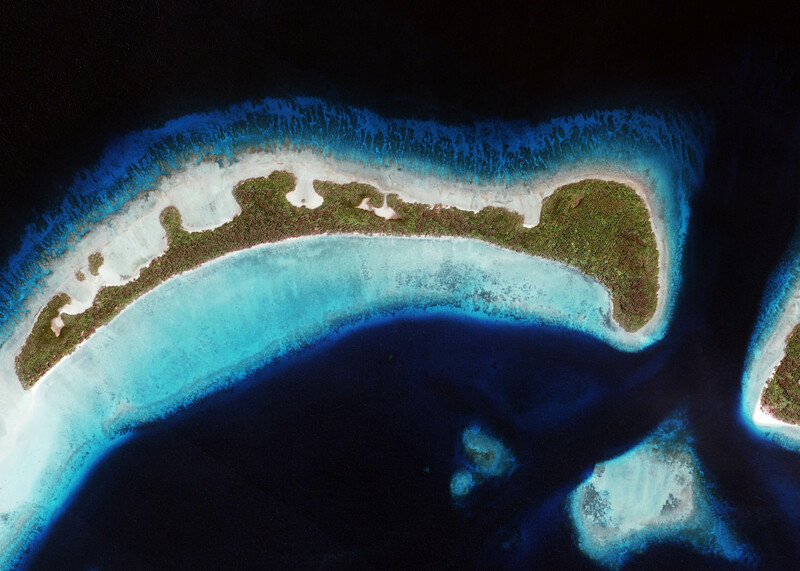 Information supplied by: Captain Cook Cruises. WESTERN AUSTRALIA DEBUT FOR AUSTRALIA'S LATEST SHIP PACIFIC EDEN. TODAY TAKES TO THE SEAS. The TODAY Show will host a ground-breaking television event on Wednesday, November 25, bringing viewers one of Sydney Harbour’s biggest ever maritime events – the live P&O Cruises Five Ship Spectacular. 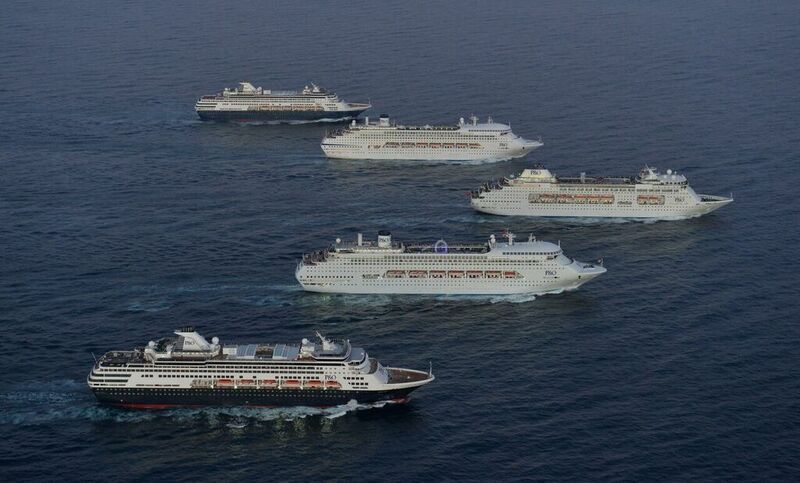 With celebrations beginning at 5.30am and continuing throughout the morning, viewers will see history in the making when five P&O ships come together for the first time in Sydney Harbour, celebrating the arrival of the Australian cruise line’s latest ships, Pacific Aria and Pacific Eden. Karl Stefanovic, Lisa Wilkinson, Sylvia Jeffreys, Tim Gilbert and Ross Greenwood will be positioned on Pacific Aria. Across the water at Fort Denison, Richard Wilkins will host all the entertainment action, joined by the “godmothers” of the two ships – singer Jessica Mauboy and actress Kate Ritchie – who will officially name Pacific Aria and Pacific Eden in a stunning dual christening ceremony during the broadcast. Stevie Jacobs will be at Mrs Macquarie’s Chair, hosting a big barbecue for those down at the foreshore to watch the Five Ship Spectacular. Those celebrating the morning with Stevie will also have a chance to win some amazing prizes, including a nine-night P&O cruise to the beautiful Pacific Islands. Information suppiled by: Channel Nine And P&O Cruises Australia. AUSTRALIAN WORKERS SUFFER FROM FOTAL : FEAR OF TAKING ANNUAL LEAVE. Conducted among 1250 Australian workers, the first Princess Cruises National Relaxation Survey found that almost two-thirds of workers suffered from FOTAL – a Fear of Taking Annual Leave – and would take more time off work if they knew there wouldn’t be negative repercussions. * Gen Y (62 per cent) and Gen X (64 per cent) workers are more likely than Baby Boomers (46 per cent) to say work commitments have prevented them from taking their full annual leave. * Thirty-nine per cent of parents say that planning a holiday is stressful because they need to find a place everyone can enjoy (compared to 22 per cent for non-parents). 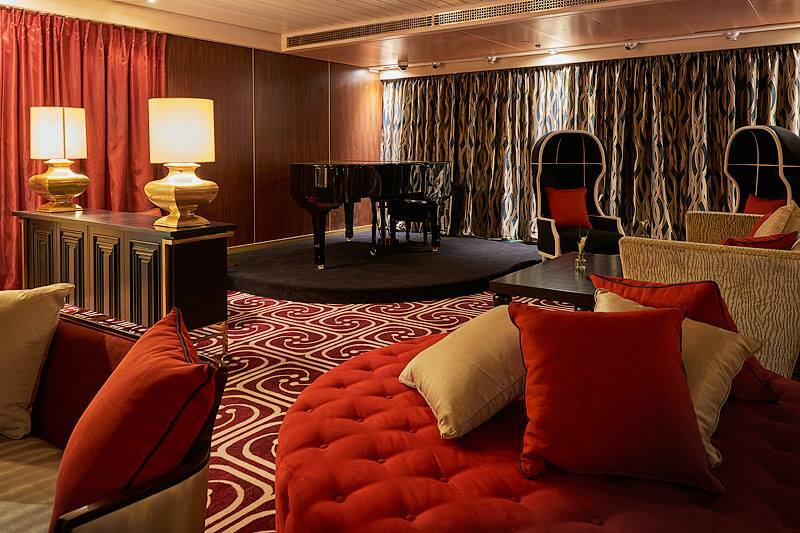 STYLISH CARINTHIA LOUNGE FOR QUEEN MARY 2. 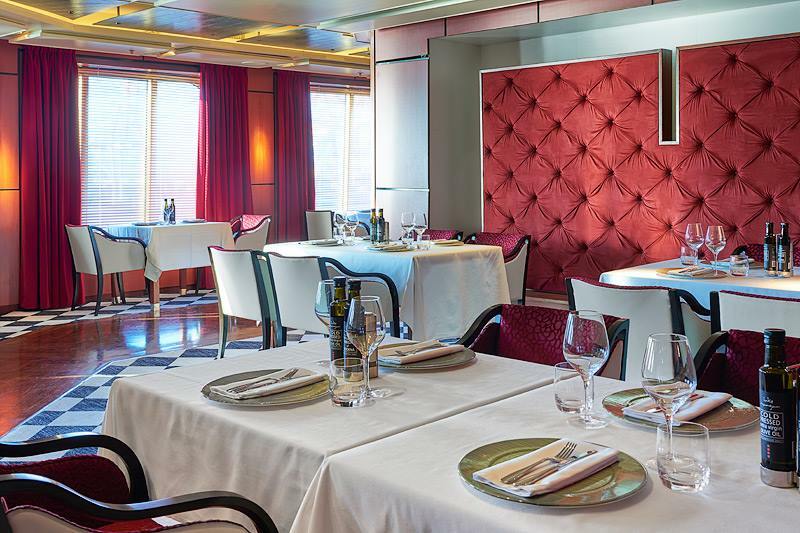 Cunard has unveiled plans to transform Queen Mary 2’s Winter Garden into an elegant, airy and versatile new venue – the Carinthia Lounge – during her refurbishment next year. 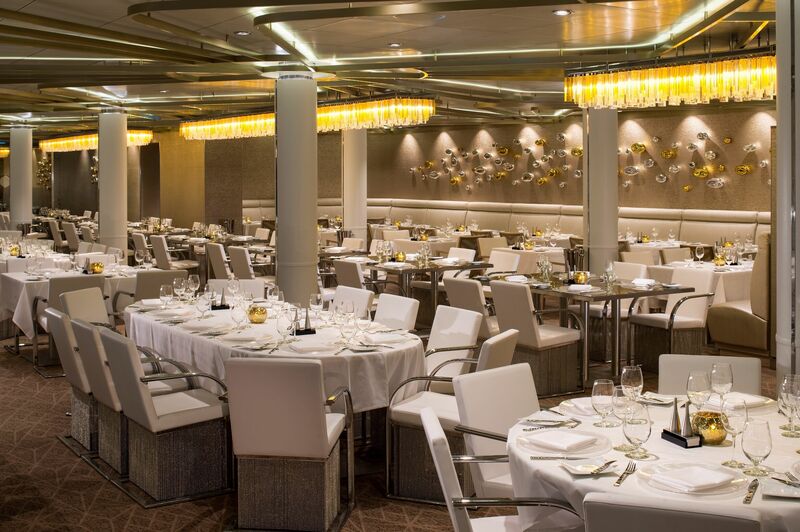 Named after Cunard’s much loved Carinthia ships, the new Carinthia Lounge will take shape during Queen Mary 2’s multimillion pound refit from May 27 to June 21, 2016. 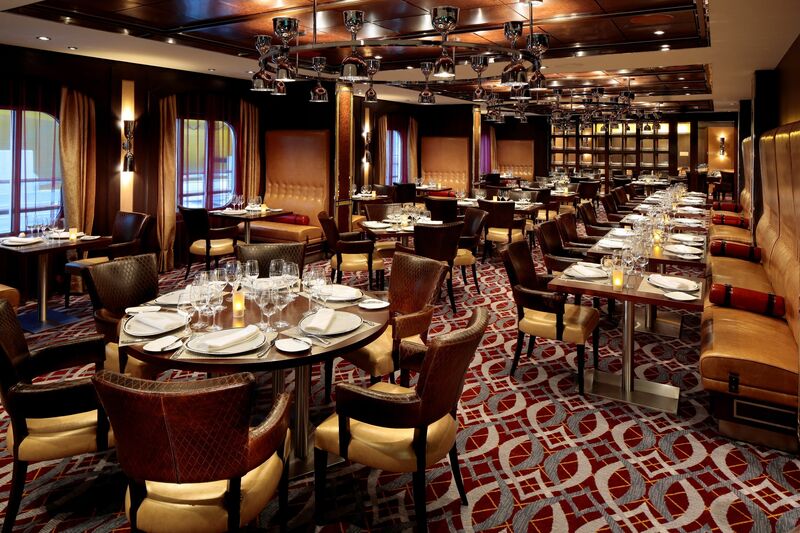 Designed to be one of the most stylish and talked-about spaces on the Cunard flagship, the Carinthia Lounge will transition seamlessly throughout the day from a serene and cheery lounge serving light breakfast and lunch dishes to an elegant evening destination. It will become the perfect spot to sit and relax, the place to catch up with friends or the venue to enjoy a good book. 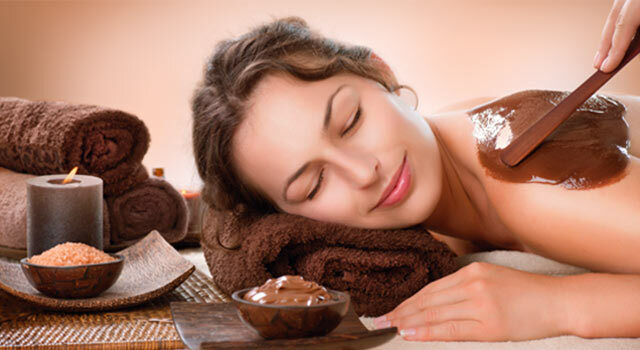 Its location is perfect for unwinding after a treatment at the Canyon Ranch Spa next door or to relax after a stroll on the widest promenade at sea. 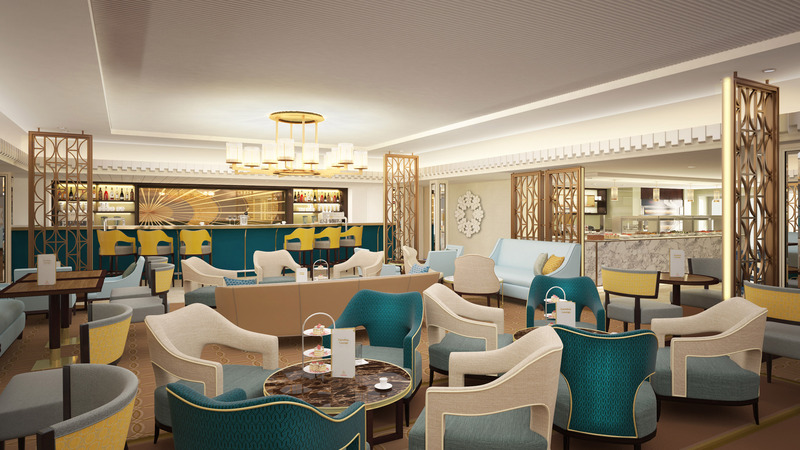 Featuring a fresh colour palette of powder blue, cream and gold, the lounge will include versatile seating layouts including dining chairs and tables near the new patisserie and chic curved lounge seating under decorative lights. The spacious venue will also feature a wine wall, vertical metal Art Deco-inspired screens and a dark walnut timber dance floor. The Carinthia Lounge will feature a dedicated patisserie and an afternoon tea service, with the option of a special Veuve Cliquot Champagne Afternoon Tea experience. When the sun sets, the lounge will become an inviting evening spot with premium wine, small plates and relaxed entertainment. Cunard Director Angus Struthers said in the roaring twenties Carinthia embodied the spirit of travel which saw the rise in popularity of world cruises and winter voyages – a concept Cunard can proudly claim to have introduced among its many innovations and firsts over the last 175 years. “It is only fitting to remember the legacy of Carinthia and bestow this name onto our new lounge. We believe this space will truly elevate the Queen Mary 2 experience, adding new innovative culinary options as well as another level of refined relaxation and entertainment for our guests,” Mr Struthers said. Both Queen Victoria and Queen Elizabeth feature the popular Carinthia Cafes. 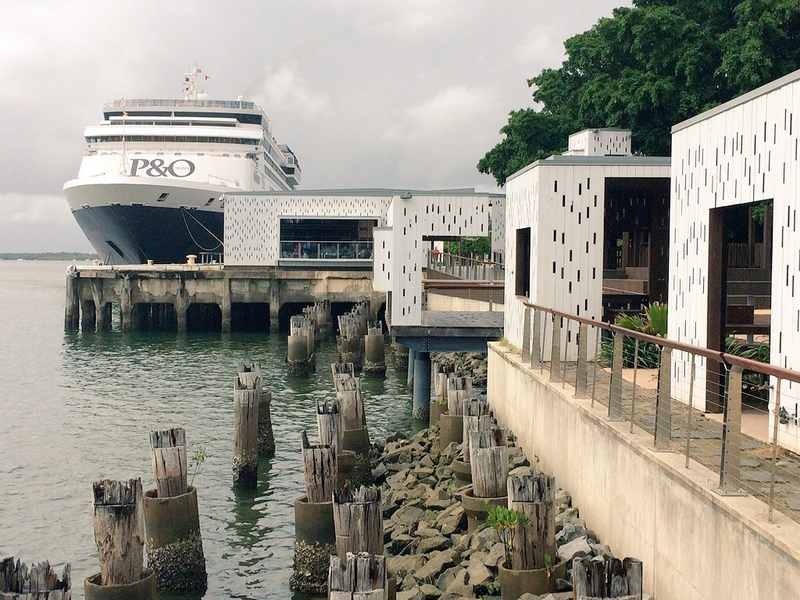 P&O CRUISES PIONEERS MORE OF PNG IN UNPRECEDENTED REGIONAL PROGRAM. Satisfying Australians’ increasing desire to recharge with short breaks, Mr Myrmell said cruises of two to four nights were a standout feature of the new program with a record 85 on offer from five home ports. The latest program is the first to include the expanded fleet, with Pacific Explorer set to join the P&O family in 2017, offering a range of Pacific Island, Sea Break, Australia and Main Event itineraries from Sydney. Three ships (Pacific Dawn from Brisbane and Pacific Explorer and Pacific Jewel from Sydney) will cruise to the 2017 Melbourne Cup while in 2018, Pacific Explorer will make her Australia Day debut in Sydney Harbour alongside Pacific Aria and the cruise line will make its fifth appearance at the Australian Open. In a coup for Western Australia, Pacific Eden will return for an encore Fremantle season from April to June 2017, offering a series of 10 cruises including a new nine-night itinerary featuring P&O Cruises’ first scenic cruising along the stunning Kimberley coastline as well as the return of popular Indonesian cruises and short breaks to Esperance and Margaret River. With the largest local fleet opening up a plethora of program possibilities, the cruise line will also offer its longest summer season in Melbourne. Pacific Jewel will call Victoria home for 109 days from November 2017 until March 2018, offering 18 cruises including a new 12-night New Zealand itinerary which features Stewart Island and Fiordland National Park, a New Year’s cruise to the popular Pacific Islands and Sea Breaks to Eden in New South Wales and Kangaroo Island in South Australia. Guests can also combine a six-night Southern Getaway to South Australia and five-night Taste of Tasmania cruise to get the most of the southern coastline. Meanwhile festive holidaymakers can avoid expensive flights and have a fuss free Christmas and New Year with friends and family on one of 12 cruises departing from three Australian ports over the height of the holiday period in 2017. The first 100 cabins booked on a new program itinerary will receive special extras including priority check-in and tenders, welcome gift packs and onboard credit. 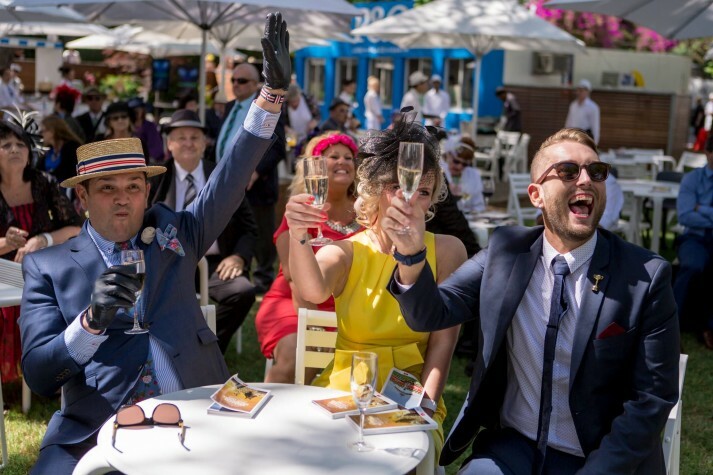 HAVE YOU EVER WONDERED WHAT IT IS LIKE TO CRUISE TO THE MELBOURNE CUP ?? Have a look at this ! 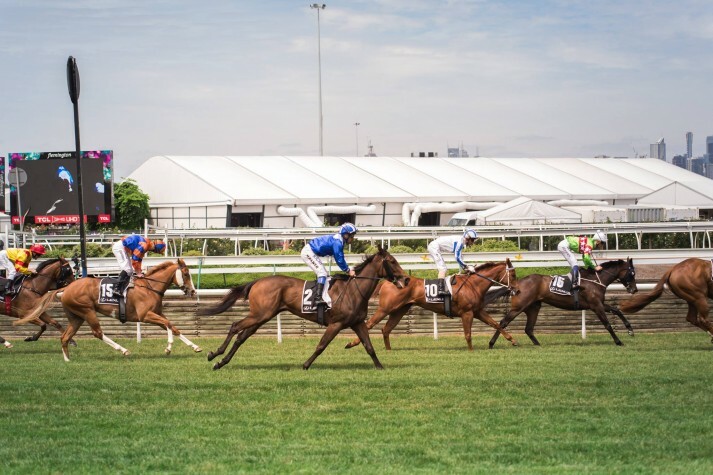 Have YOU ever wondered what it is like to be on a Cruise to The Melbourne Cup ?? Well here is a sneak peek at what YOU can expect ! It sure looks like lots of FUN ! So will YOU be cruising to The Melbourne Cup in the future ?? And what ship would YOU like to cruise to The Cup on ?? P&O CRUISES' AUSTRALIA'S NEW SHIPS PACIFIC ARIA AND PACIFIC EDEN MEET FOR THE FIRST TIME, SPENDING THE WEEKEND TOGETHER IN AN HISTORIC DOUBLE DRY DOCK IN SINGAPORE. P&O Cruises' Australia's NEW Ships Pacific Aria And Pacific Eden Meet For The First Time Spending The Weekend Together In An Historic Double Dry Dock In Singapore. P&O Cruises’ latest ships Pacific Aria and Pacific Eden have met for the first time, spending the weekend together in an historic double dry dock in Singapore. 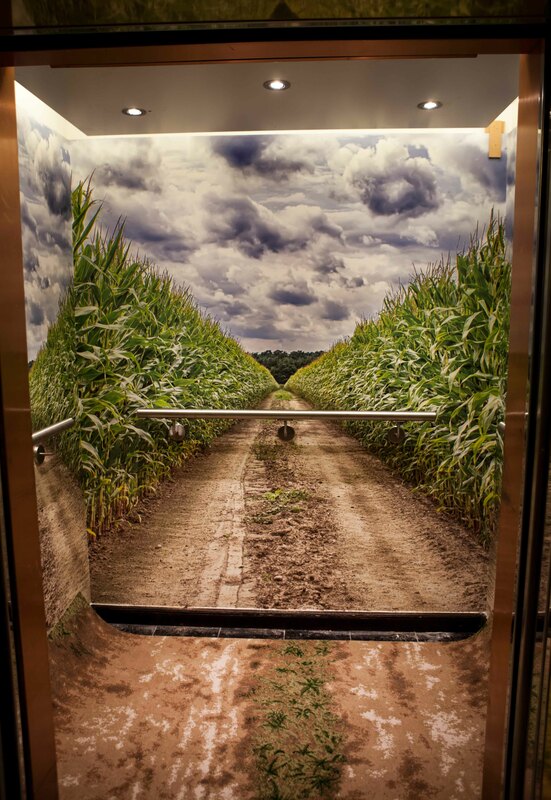 In the first look at the sister ships, which are set to become game changers for the Australian cruise industry, images from the dry dock provide a sneak peak at striking design elements including stunning trompe l’oeil visuals creating an optical illusion in Pacific Eden’s lifts. The extensive transformation of both ships will see more than 900 contractors from 43 different nationalities spend about 250,000 man hours laying an estimated 20,000sqm of carpet and adding 2500sqm of wall covering, more than 300 pieces of art, 2500 pieces of furniture and 2500 signs, as well as 500 litres of paint. Pacific Eden has left dry dock and is expected to arrive in Fremantle on Tuesday November 10, the same day sister ship Pacific Aria finishes her dry dock at Sembcorp Marine Admiralty Yard. The ships will meet again in Sydney Harbour for their dual naming ceremony on November 25. Please see the attached images of Pacific Aria and Pacific Eden in dry dock in Singapore. 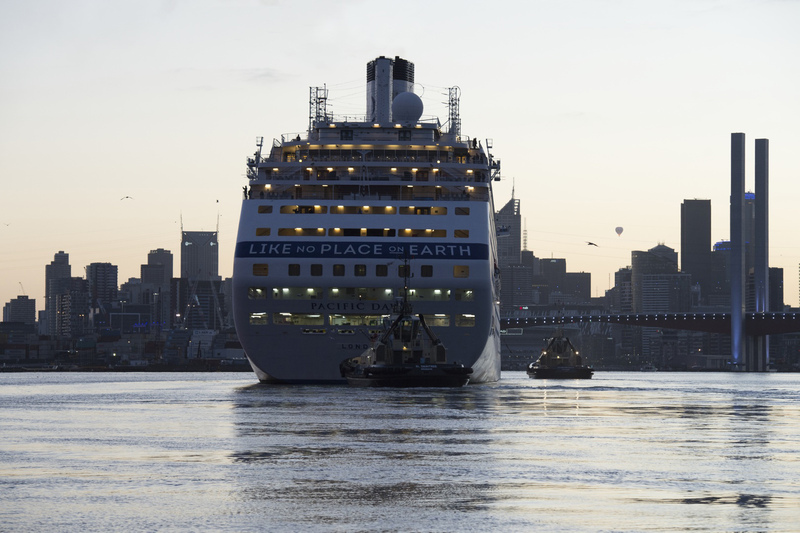 P&O CRUISES' PACIFIC DAWN HAS MADE HISTORY AT THE LARGEST CRUISE SHIP TO SAIL UNDER MELBOURNE'S WEST GATE BRIDGE. 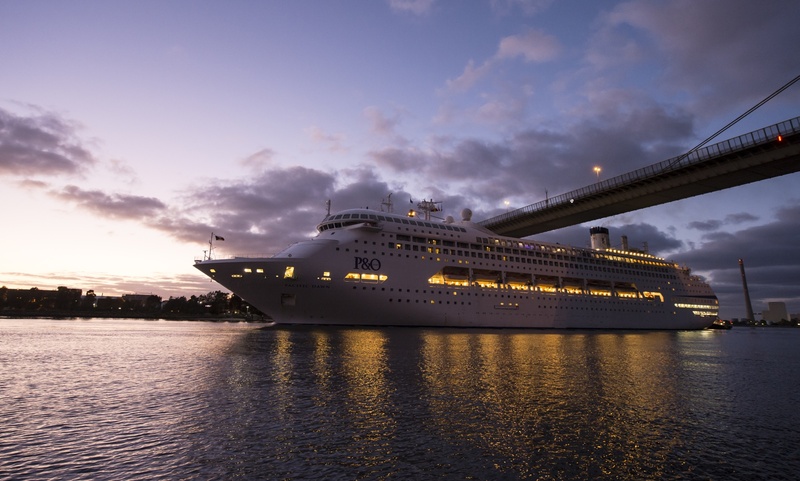 P&O Cruises’ Pacific Dawn Has Made History As The Largest Cruise Ship To Sail Under Melbourne’s West Gate Bridge. 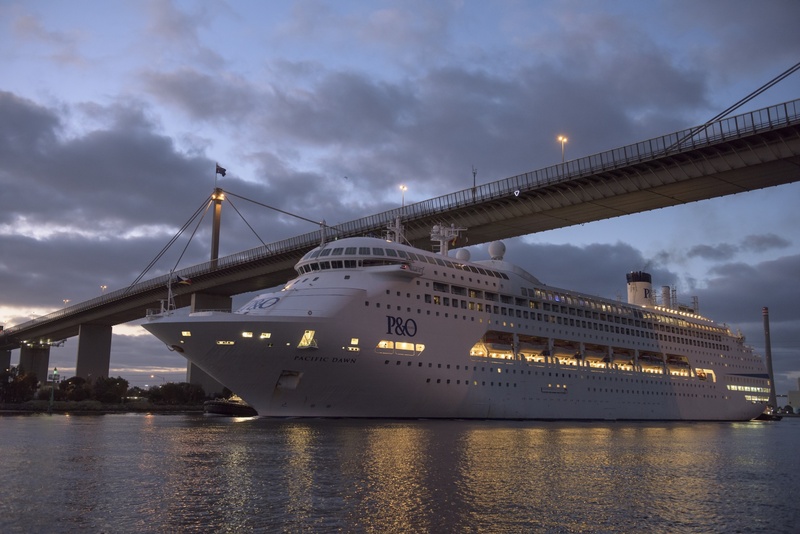 Carrying 2000 guests, the 47.6 metre high Pacific Dawn passed under the West Gate Bridge, which has a clearance of 50.1 metres, before berthing at Victoria Dock, next to Melbourne’s Docklands early this morning. 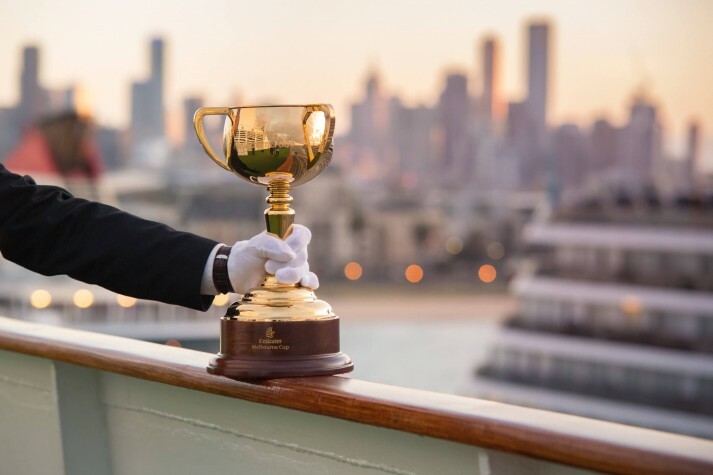 The central location will give Pacific Dawn’s 2000 guests unprecedented cruise ship access to the city during their two-day stay for the Melbourne Cup. The 70,285-tonne superliner is one of a record four cruise ships visiting Melbourne for the Cup. P&O Cruises’ Pacific Pearl and Pacific Jewel are both docked at Station Pier along with Carnival Spirit, from P&O’s sister cruise line Carnival Cruise Line. 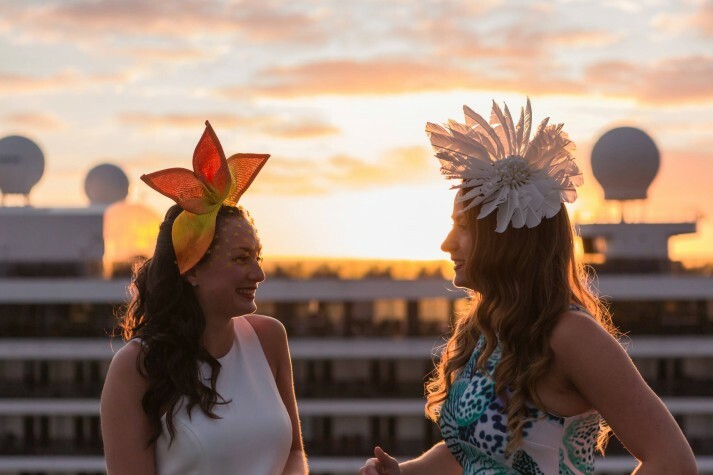 Between them, the ships’ 8000 guests will represent around 8 per cent of total attendees at the Melbourne Cup. The four-ship visit is expected to inject more than $7 million into the economy in passenger and crew spending as well as port charges and fees, with the ships spending a combined 12 days in Melbourne. Please see the attached images of Pacific Dawn sailing under the West Gate Bridge and berthing at Victoria Dock in Melbourne today. Photos by James Morgan.